To all keen golfers visiting Richtershuyz Guesthouse – Golfing only at the best courses available in and around Pretoria. Enjoy our modern spacious lifestyle guesthouse in the heart of Pretoria. 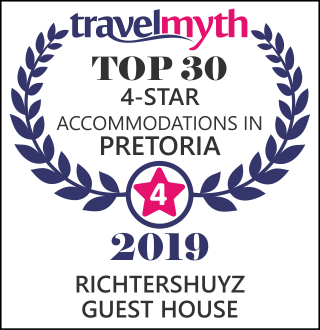 Richtershuyz Lifestyle Guest House is an Afristay Valued Member. Thanks, it was a great stay. Great location, awesome breakfast, nice touches, outstanding hospitality.